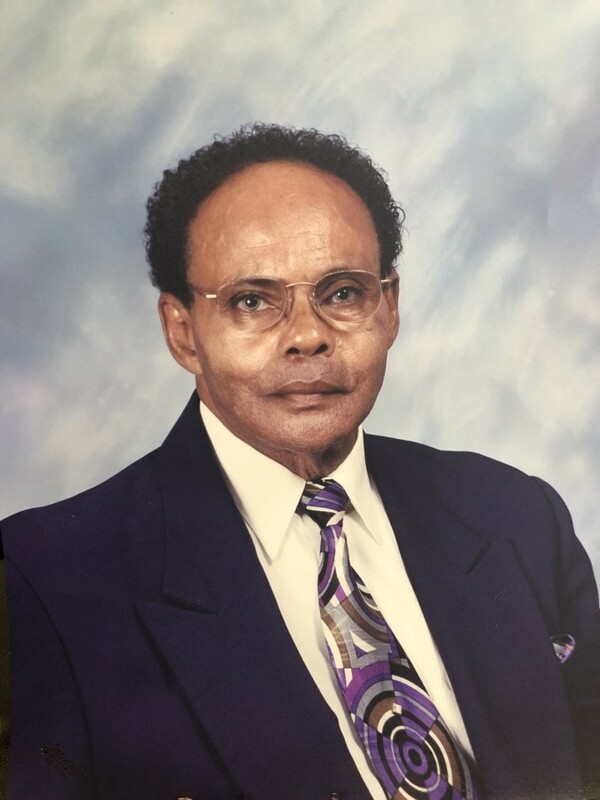 Celebration of Life Service for Mr. James E. Clemons, will be held noon Monday, April 8, 2019 at Pentecostal Lighthouse Church with Bishop Johnny Burrell officiating. The body will lie in repose one hour prior to the service. Public viewing will be Sunday, 2:00 p.m. - 6:00 p.m. at Reynolds Funeral Home. Mr. James Earl Clemons known as (Jimmie) was born November 29, 1928 to the late Berry L. Clemons, Sr. and the late Rebecca Fletcher Clemons. He departed this life on April 2, 2019 following a lengthy illness at the Valley View Nursing Home in Madison, Alabama. He confessed hope in Christ at an early age and united with Big Shiloh P.B. Church under the leadership of Elder Will Taylor. He later moved to St. Louis, MO. A few years later he moved to Cleveland, OH and united with Pilgrim Church of Christ. He worked and retired from Ohio Steel Company in Cleveland, OH. After retirement he moved to Huntsville, AL and worked at the Huntsville Airport as a custodial worker. He joined Apostolic True Temple Church of God where Elder Jerry Townsend serves as pastor. Some years later he united with Pentecostal Lighthouse under the leadership of Elder Johnny Burrell, working with the Usher Board and the Male Chorus where he served faithfully until his health began to fail. James Earl Clemons was preceded in death by his parents and stepmother, Josephine Clemons; five brothers, Jessie Clemons, Berry C. Clemons, Samuel Clemons, John Clemons and Sam Clemons; two sisters, Mary J. Ratliff and Savanna Franklin. He leaves to cherish his precious memory: two loving, dedicated and devoted caretakers, Toney Malone and Cedric Brown; five sisters, Ms. Bertha Crutcher, Ms. Josie Hazlitt, Mrs. Emma (Bennie) Ellison, Minister Elaine Allison and Mrs. Louise (Teddy Ray, Sr.) Burruss all of Huntsville, AL; two brothers, Eddie Clemons and Berry L. (Shirley) Clemons, Jr., both of Madison, AL; longtime friend, Mrs. Margret Claytor and godson, Rasean Claytor both of Cleveland, OH;, a host of nieces, nephews, cousins and friends. Pallbearers and Flower Bearers will be family and friends.